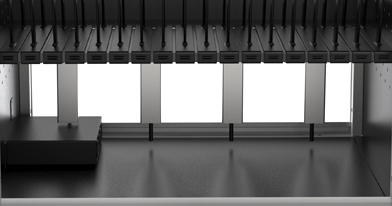 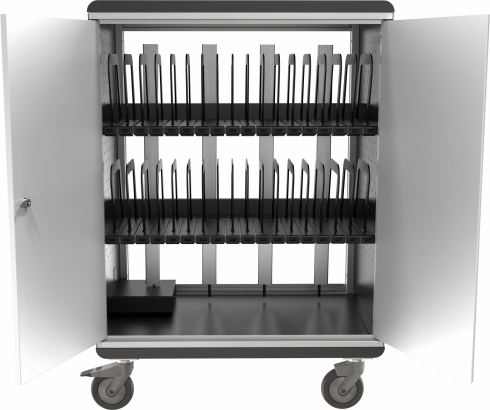 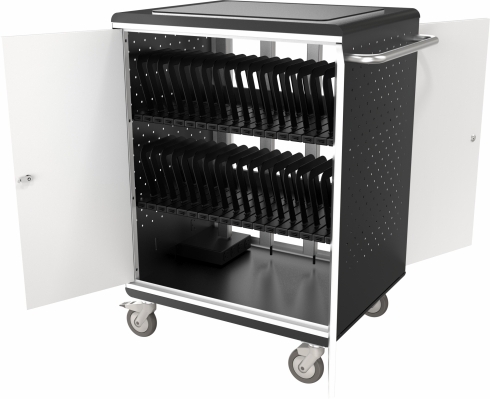 The New ELMO i-NOVO Charge Cart holds up to 32 tablets or Chromebooks, keeps them charged, secure and ready to transport. 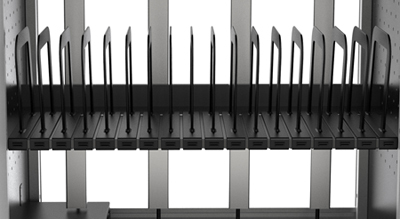 The i-NOVO is sleek, versatile and can charge devices such as an iPad, Kindle, Nook, HP TouchPad, Dell Streak and Samsung Galaxy. 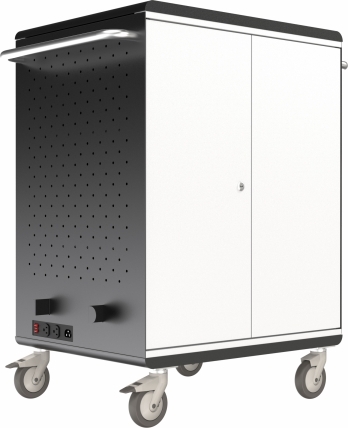 Heavy duty casters (two locking). 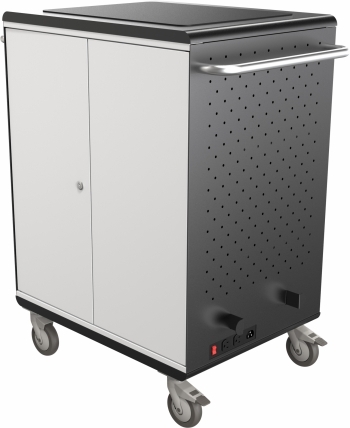 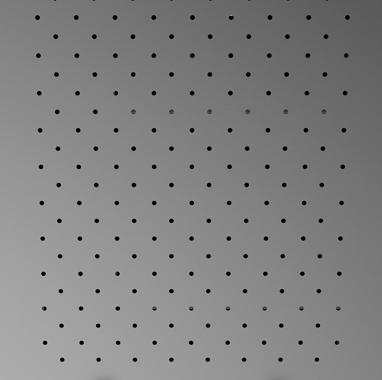 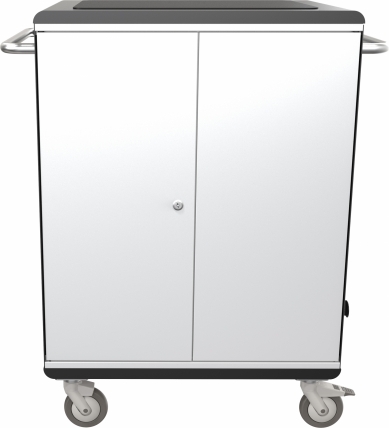 Lockable steel cabinet for safety and security. 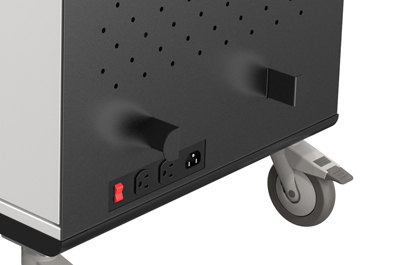 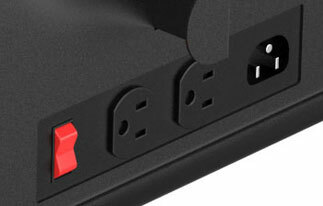 Ample storage space for document camera, laptop, etc..
Two Auxiliary power ports and on/off switch. 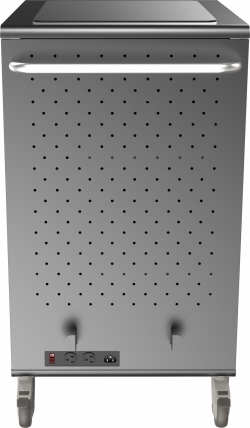 Ventilated side panels to prevent overheating.